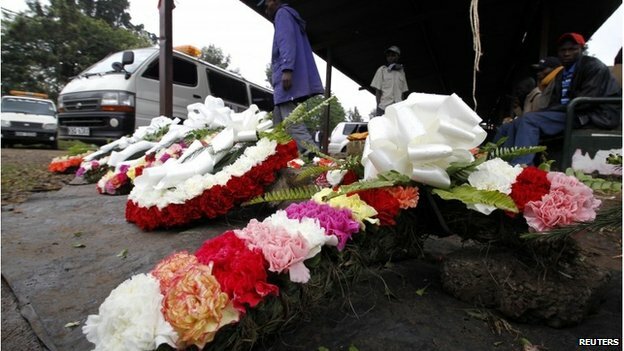 Corruption at the Heart of Kenyan Mall Attacks? The horrific attacks that occurred at the Westgate Shopping Mall in Nairobi this past week were a tragic occurrence that brings into stark view the effects of ongoing terrorist activities in the region. However, they perhaps also point to deeper systemic problems rooted in the widespread corruption that continues to plague Kenya. Members of the al-Shabaab terrorist group (who officially merged with Al-Qaeda in 2011) stormed the mall and began shooting on September 21, and the ensuing siege continued for 4 days. Over 60 civilians have been killed, as well as several of the terrorists. It is thought that al-Shabaab is acting primarily in response to the Kenyan government’s involvement in a Somalian peacekeeping force named Amisom. However, as with most terrorist activities, these shootings likely also stem from an ideological place, one which believes that the group’s manifesto represents what is best for the country. The mall attacks seem to have been fuelled by al-Shabaab’s issues with the government’s policies as much as their actions. Specifically, Kenya’s stance against militant Islamist groups, and the influx of Israeli capital into the region clash with the values al-Shabaab represents. The disillusionment with government actions that seemingly prompted these attacks brings to light once again the deep-seeded corruption that plagues the country. The 2013 Transparency International Global Corruption Barometer (of which you can find a summary here), released in July, ranked Kenya among the most corrupt countries in the world, with 3 out of 5 citizens reporting that they felt corruption was a problem in the public sector. Furthermore, a majority of Kenyans do not believe that their government is doing enough to combat the corruption that plagues their country. This is not surprising when President Uhuru Kenyatta and Vice-President William Ruto are currently standing trial at the International Criminal Court for crimes against humanity related to elections violence. In fact, Ruto’s trial has been postponed to enable him to return home and attend to the tragedy. The inability of the government to deal with crime and corruption has created an environment wherein attacks such as these are not only possible, but in some ways inevitable. Kenya’s widespread corruption, combined with recent economic growth that the country is politically unequipped to handle has created a powder keg of racial tension, increasing economic disparity, and distrust of government. An environment this volatile, especially with a government not working towards stability, cannot adequately work to protect its citizens from attacks such as these. The money coming into the country through new African economic growth has not seemingly been adequately allocated towards the defence of citizens, a fact highlighted by the delayed police response to the Westgate shootings. There has been much discussion of Kenyan intelligence’s actions leading up to the attack, and whether or not more could have been done to prevent it. Kenya has one of the more established and elaborate intelligence agencies in Africa, but with police and border security so susceptible to bribery, it becomes a relatively easy matter for terrorists to cross borders and move throughout the country undetected in order carry out their attacks. A further issue stems from the fact that the US is providing annual funding in the billions to counter-terrorism efforts in Kenya. The lack of preemptive action on the part of Kenyan intelligence perhaps points to a mismanagement of these funds by the Kenyan government, and raises questions about their priorities. If US money is not being used to prevent attacks such as the one at Westgate, then the question becomes not only where the money is being allocated, but also how to hold the government accountable and ensure increased transparency with regards to spending in the future. Portions of this money in particular should be spent on efforts to combat corruption within the Kenyan police force. This is clearly a major problem that is compromising anti-terrorism efforts, and as such, should become a government priority. Though the Westgate Mall tragedy can be viewed on the surface as a textbook example of Islamic extremism at its worst, it is in many ways representative of systemic corruption at the core of the Kenyan government and its police force. A lack of transparency, coupled with a troubling approach to new influxes of foreign capital into the country has created a volatile socioeconomic landscape, one which is likely to not only promote extremist sentiments, but to allow for the execution of terrorist plots. Serious restructuring is required in order to combat the deep-seeded corruption, and one can only hope that this tragedy encourages the necessary discussions to bring this restructuring about.